In a modern world resume is still that essential thing that any job seeker should have. And the more you’re longing for a good and highly-paid position – the more polished and thought-out your resume should be. There are many discussions on the Internet whether one should or should not using resume templates while creating the resume. Templates tell recruiters that you are too lazy to write it yourself. You know what? Most of these arguments have absolutely no ground today. 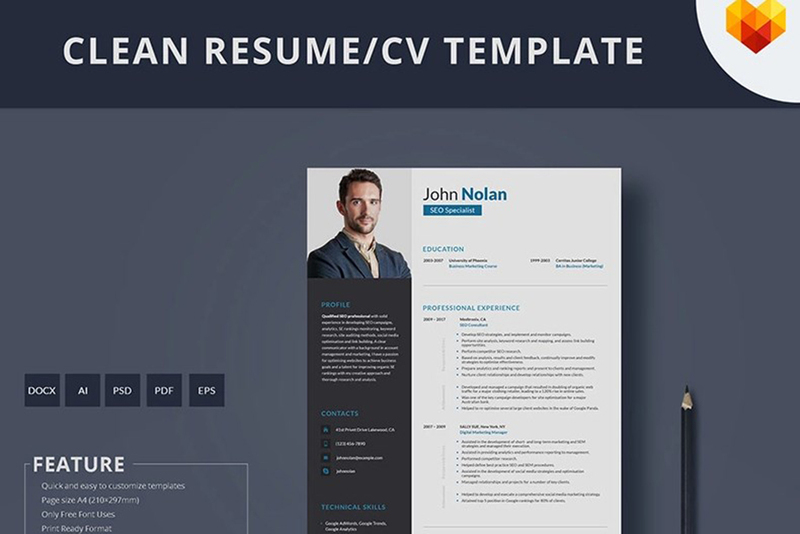 Resume templates aimed at making your life easier. A resume is a standard document by definition. It allows a recruiter evaluate an applicant. And like the most standard documents, resume requires a particular structure. In other words – there should be a certain template or guidelines that help you write a good professional resume. Resume templates all follow those guidelines: they have those necessary sections like ‘Personal Info,’ ‘Education,’ ‘Professional Experience.’ etc. The applicant should just fill those sections with personal info. Even creative CV templates require some work. 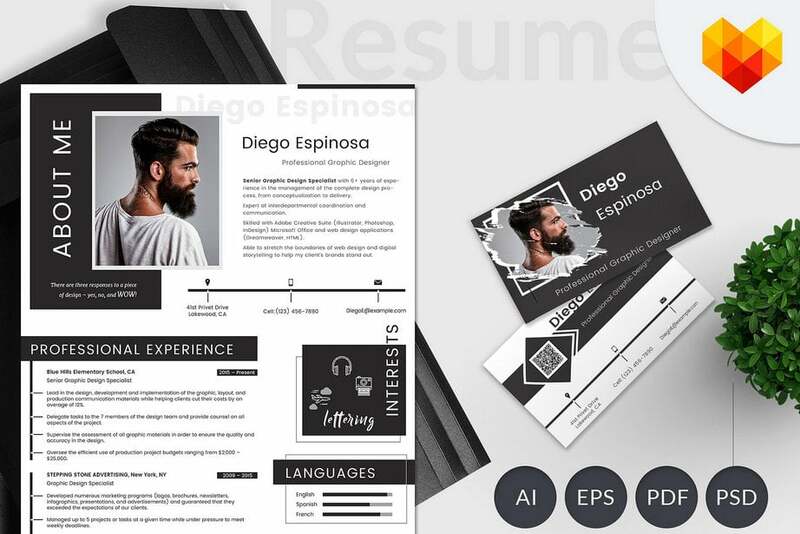 Resume templates are often seen as some cookie-cutter solution that makes an applicant look a one of a crowd of the same candidates. But in fact, there are tons of professionally-designed resume template for any taste and personality. Moreover, almost all elements of a template can be tweaked to fit a particular applicant. So there will hardly ever be two absolutely identical resumes made of one template. Templates for a resume are perfect solutions to organize the info about the applicant the right way in a short time. A user may change the background, add or remove some sections he or she considers unnecessary. 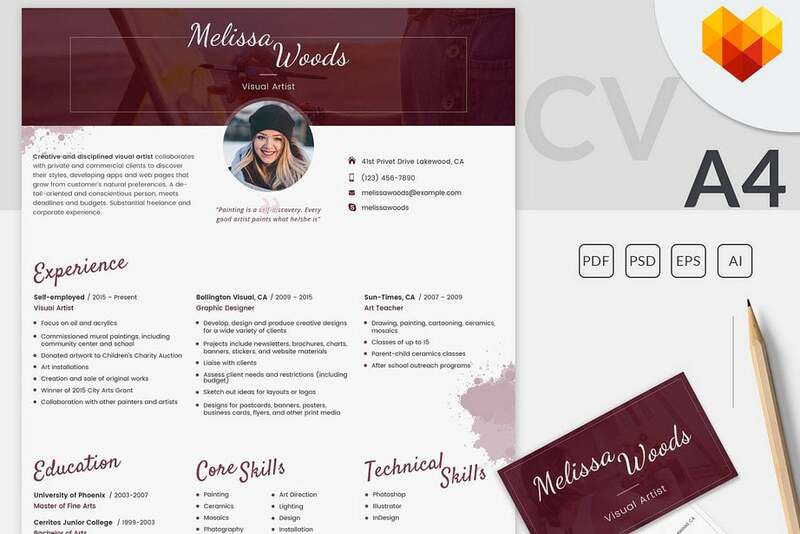 It may sound odd, but a template even helps to show some personality of an applicant with the choice of colors, background and writing style. How the template can help in showcasing your skills and personality. Now let’s check out some of the coolest resume templates from MotoCMS. This resume will fit creative job applicants who would like to showcase their personality. It requires just a bit of effort from the user and some basic Photoshop skills to tweak this template and make it reflect your personality. It comes in two variants: light and dark. So you may choose which side of the Force to join. It also contains a poster template, fonts collection, cover letter and business card as bonuses. This nice and clean template for visual artist resume contains 2 pages for presenting the applicant’s skills and showcasing the portfolio. The template comes in 4 formats (PSD, AI, EPS, PDF) what makes it easy-to-use even by a non-techie applicant. The latter can also choose one of two versions for his/her resume – with or without a photo. The other sections include Contacts, Professional Experience, Education, Core Skills and other necessary ones. 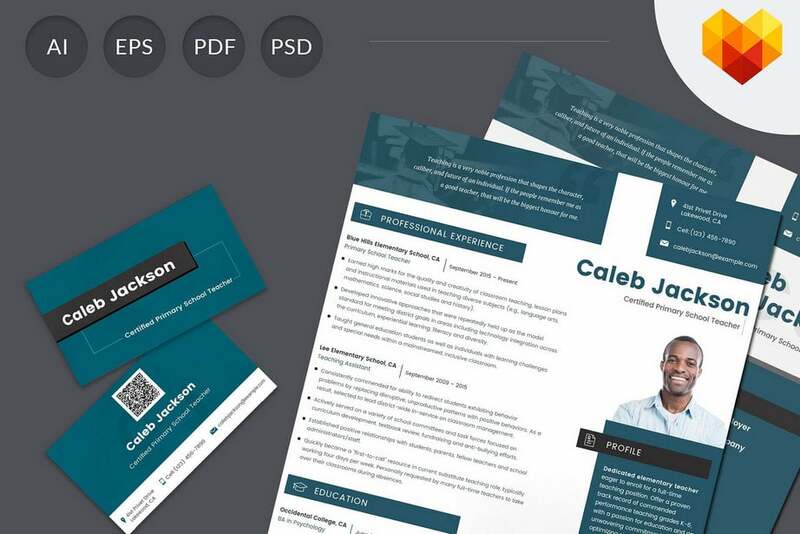 Business card and cover letter templates, as well as a set of fonts, come as bonuses. 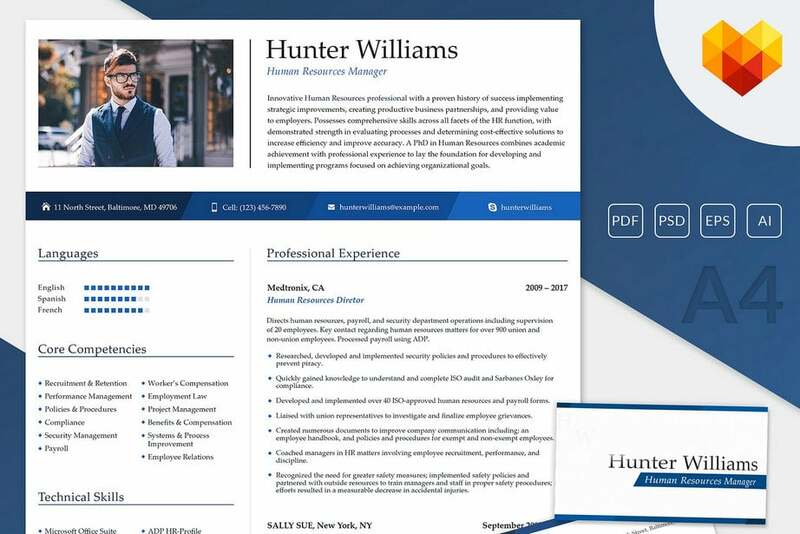 This professional resume template is created in blue-and-white colors what makes it a great choice for almost all applicants. 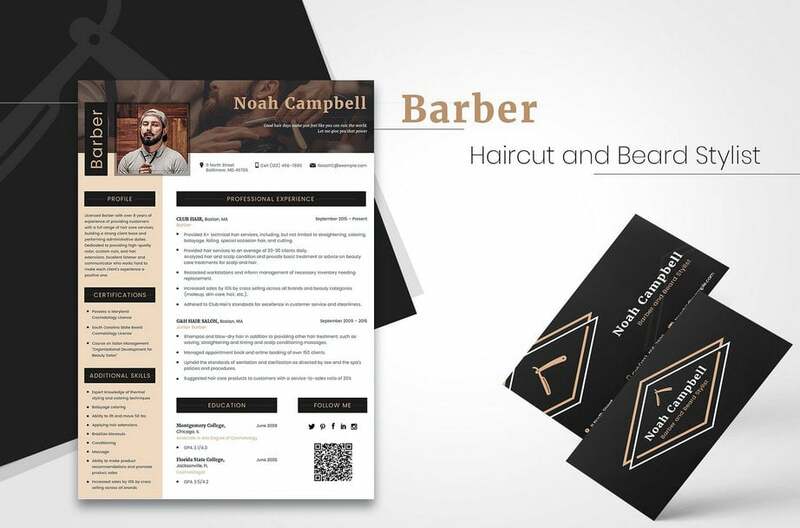 Sophisticated style and clean design will make your job application look professional and attractive at the same time. You may wish to choose the version without a photo, to make a recruiter pay more attention to the text. And this template also includes a cover letter, business card and a collection of fonts. 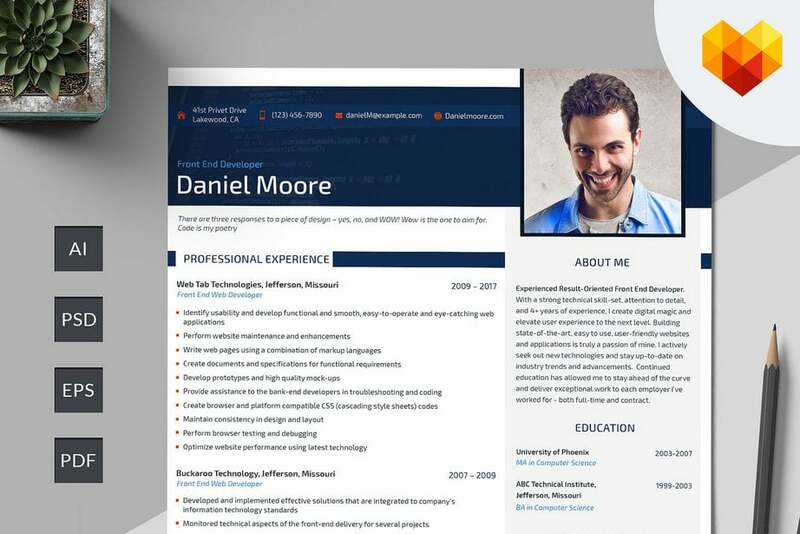 Another clean and minimalist resume template with a creative blue header. The inspirational quote in the header helps attract the attention of a potential employer or recruiter. However, it can be removed if you wish as well as other elements can be customized with a little bit of Photoshop knowledge. The template structure is well-organized and contains all the vital info about the candidate ‘above the fold.’ Like with other resume templates from MotoCMS, 2 variants (with/without photo) and 4 file formats. This resume template is very powerful despite its minimalist look and simple structure. It has the main contact info right in the header section and puts the emphasis on the professional experience in the first place. The applicant can use any of two variants of the template with the photo or without it. The template also includes a QR code that makes a printed copy a handy way of getting an electronic version with no efforts. Warm colors of this template make a good impression and may become that trigger that will win you the interview among many other candidates. The sidebar contains the sections about the applicant’s certifications, additional skills. The main information about the experience is placed in the center to get the attention first. It also has links to a social profile of the applicant and a QR code. Several file formats are available to make the tweaking easier and more convenient. Amazing pure-white resume template for those who love traditional resumes, with no bells and whistles. Clean background, blue elements – one of the best and the most pleasing to the eye combinations. It starts with the main information about the applicant: his or her core competencies and the contact info. Just put the most surefire skills in this section – and may be a recruiter will call you right away, without digging any farther. Of course, any customization is easy with 4 file formats. This template is perfectly crafted to HR professionals – it may happen even to the recruiters you know – who seek for a new position. The template is divided into the handy sections. The upper part includes a basic info about the candidate. The left sidebar includes sections about the language knowledge, core competencies, and tech skills. 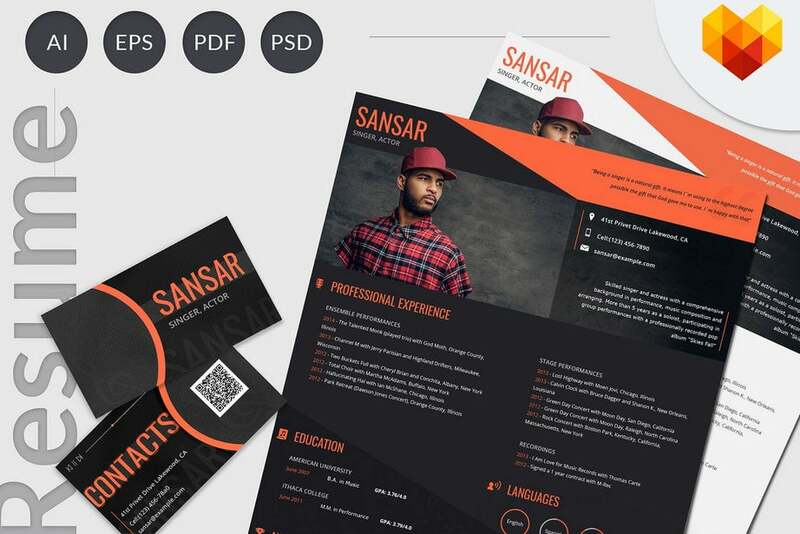 Business card template, as well as cover letter and a bunch of fonts, are included in the package. The last but not the least in our collection of the coolest resume templates is this one, for a graphic designer. Its elegant black-and-white design is worth a thousand words. 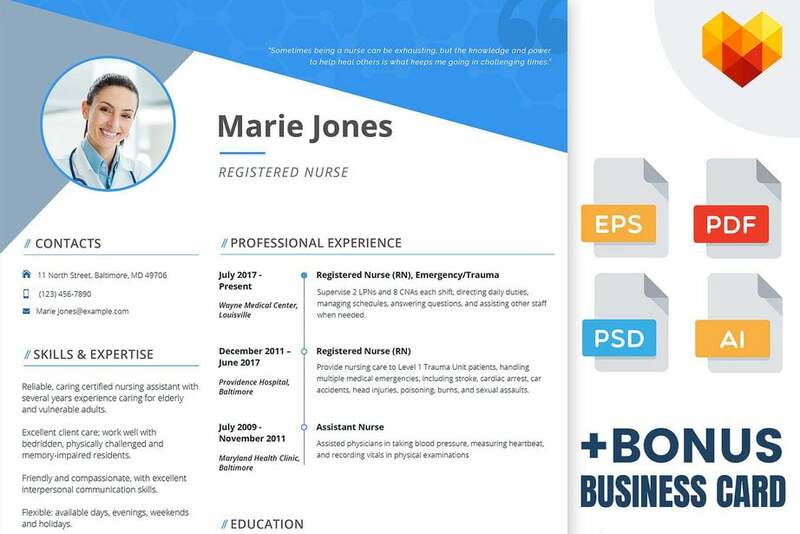 The largest sections of the template that catch the attention are the header section with photo and the main info about the candidate; and the one that describes the artist’s professional experience. 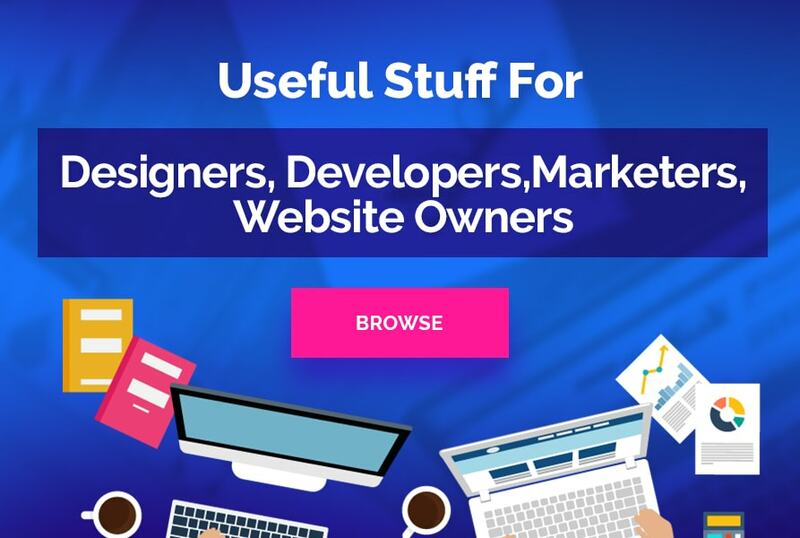 It also includes a Portfolio page, a cover letter, and business card templates. Hope you have found here the template for your future super-successful resume! 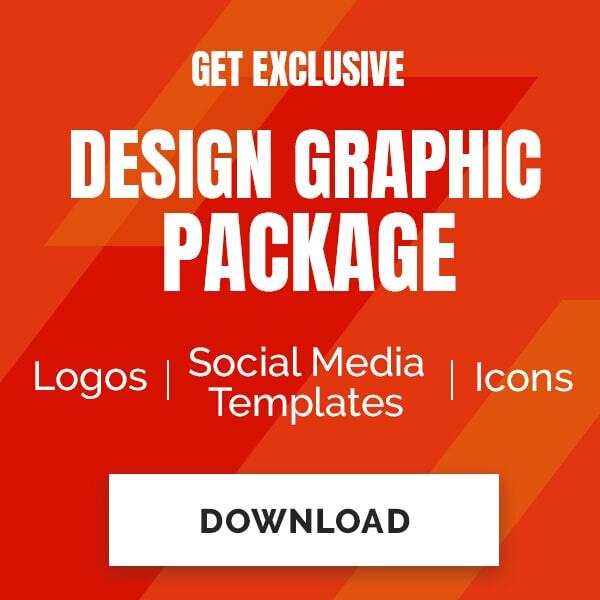 Just check out the MotoCMS page with these and other printable PSD templates to make the right choice. And good luck with getting the job of your dreams!